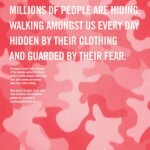 “Stop Hiding. 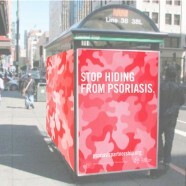 Start Living.” psoriasis awareness campaign created for Wunderman. 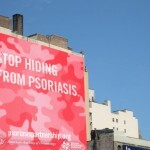 People with psoriasis tend to hide behind their disease. 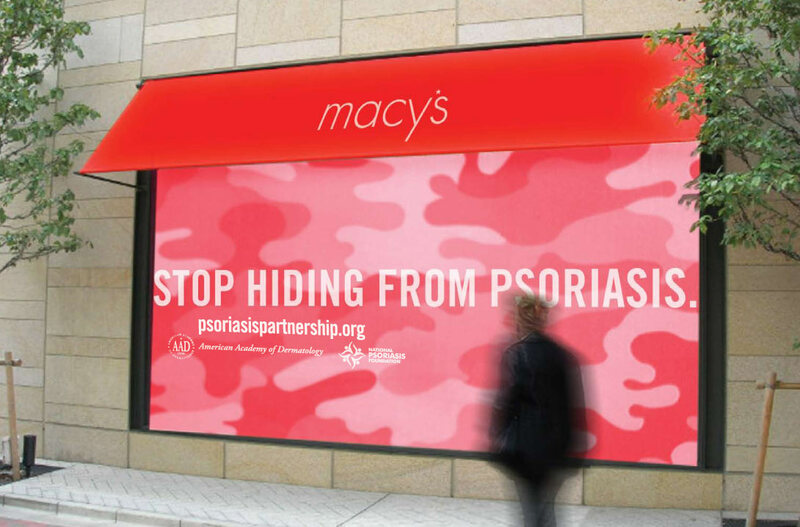 Using the visual of camouflage, we brought the campaign to life with a celebrity endorsement, TV spot, print, outdoor, online and special events. 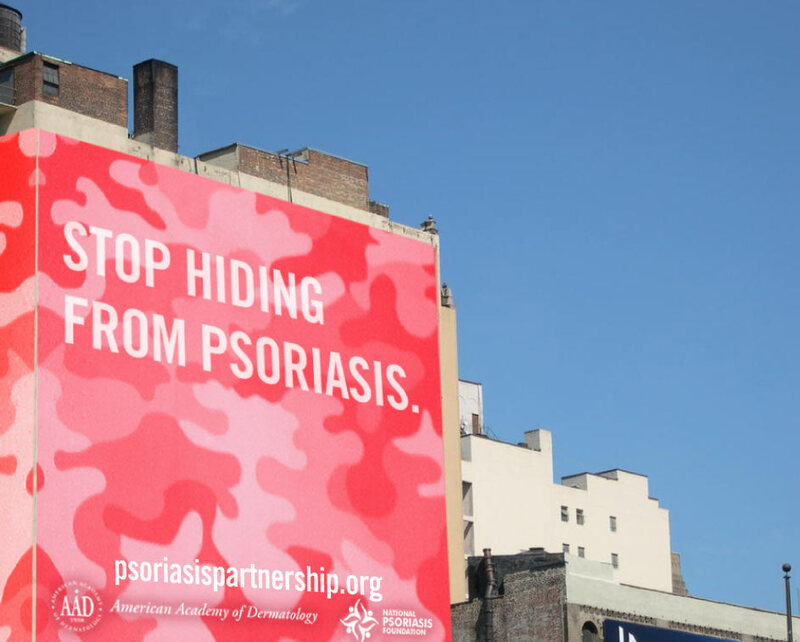 How do you get 7 million people hiding from psoriasis to seek treatment? The concept: educate the other 293 million Americans and have them encourage their friends and family to seek help. Part one: work with a celebrity who has the disease. Part two: begin spreading the word. 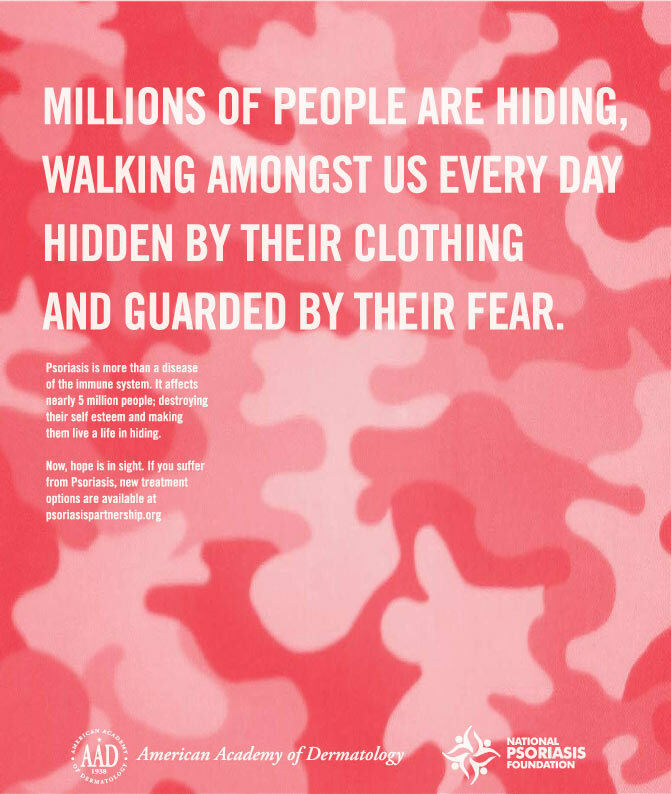 Part three: create a website that informs and delivers information about Humira…the revolutionary drug from Abbott.